If it weren't for my obnobvious headline, you'd all be wondering what the hell this is. 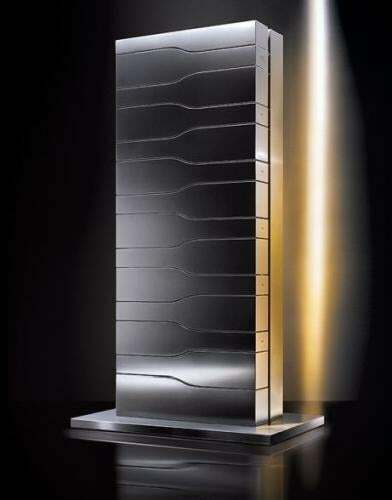 Just 15 of these Champagne tower chillers, with room for a dozen magnums in individual, lit drawers, have been designed for Veuve Cliquot by Porsche Design. Want to see what it looks like open?